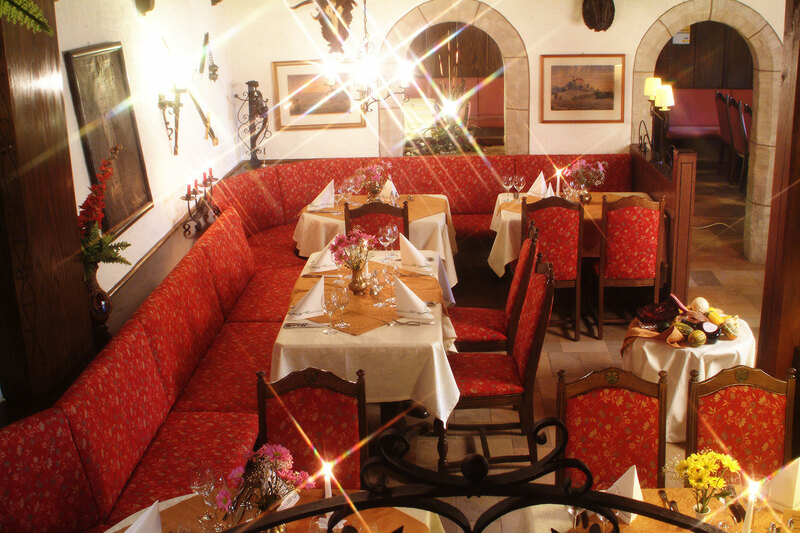 Allow yourself to be won over by culinary delights from the region in the comfortable “Burgstuben”, the historic “Zur Remise” restaurant, or in the cosy Kaminzimmer (Fireplace Room). Looking after our guests with loving care in an historic atmosphere, coupled with culinary delights is our living family tradition. 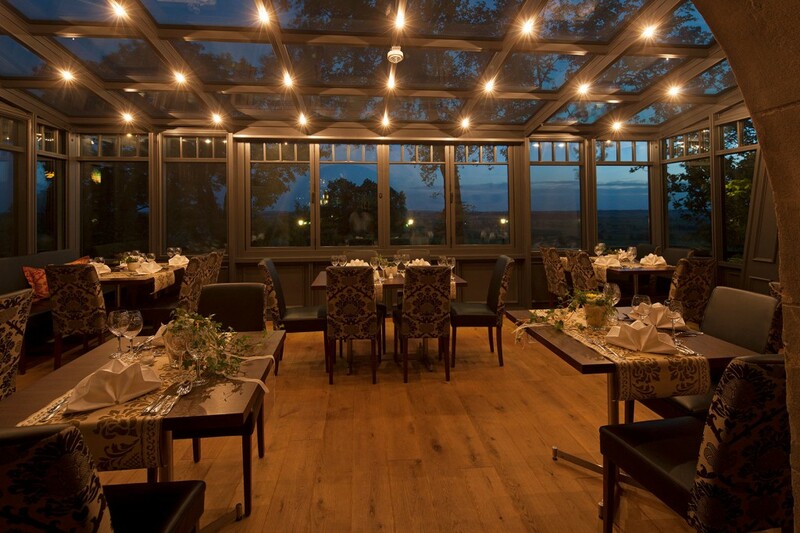 Our guests enjoy an especially rustic atmosphere in the “Zur Remise” restaurant. A Remise was once a farm building or a store-room for appliances or wagons. 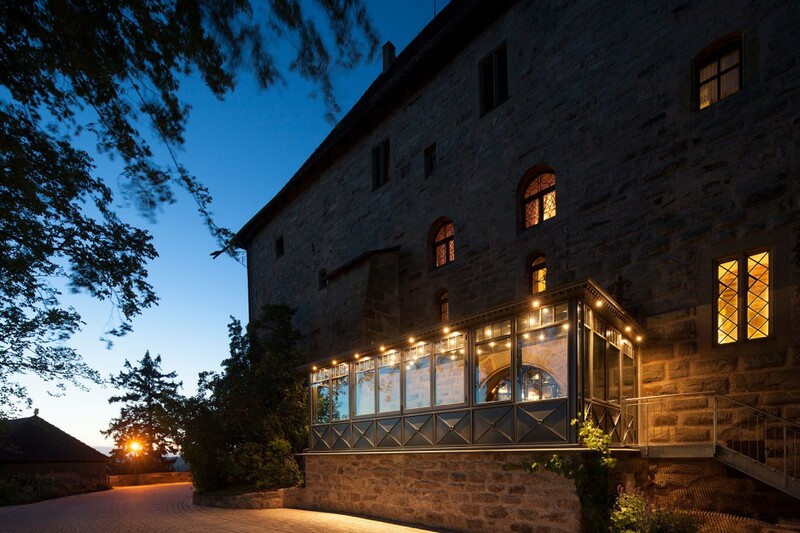 Guests of Colmberg Castle’s “Zur Remise” Restaurant can recognise its former use as horse stables and shelter for horse-drawn coaches by means of its form as well as its rustic stone walls. 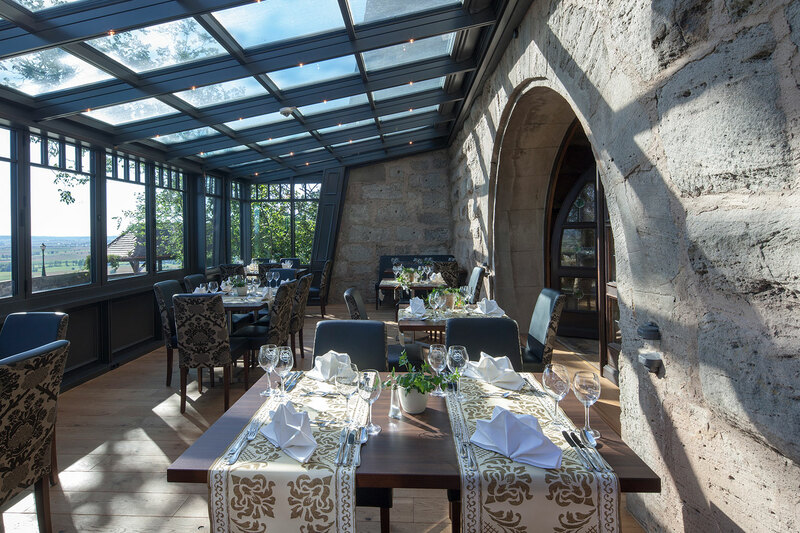 Kitchen and wine cellar provide typical Franconian delights, among others, game specialties from the Castle’s own game reserve, including red and fallow deer. 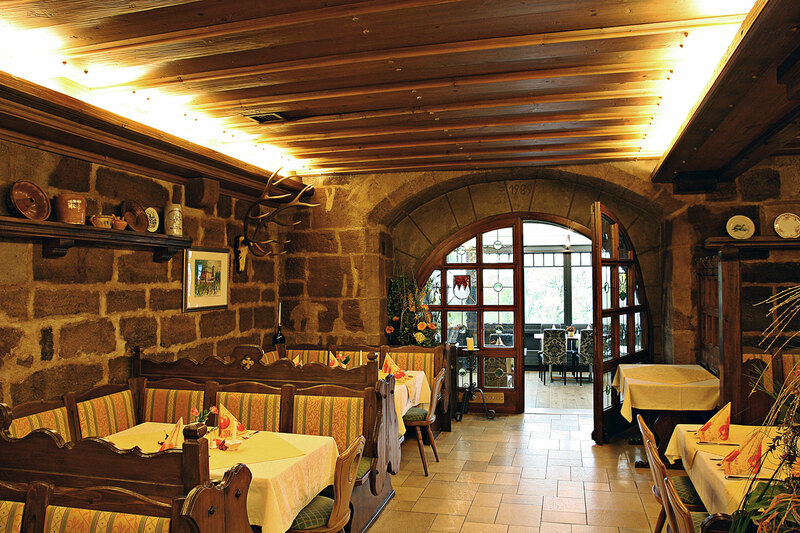 Our guests can enjoy good Franconian cuisine in the cosy atmosphere of the castle’s “Burgstuben”. 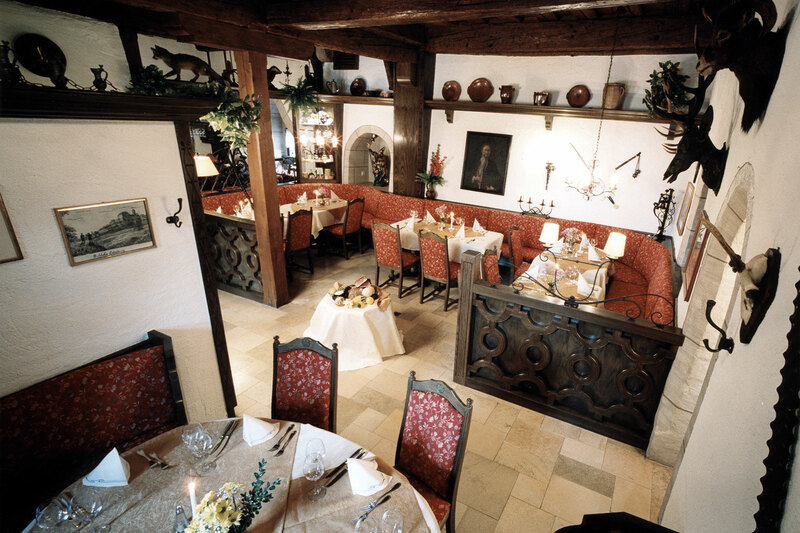 The castle’s kitchen offers Franconian, regional and seasonal specialties the whole year round. Game takes a special place in the menu here. 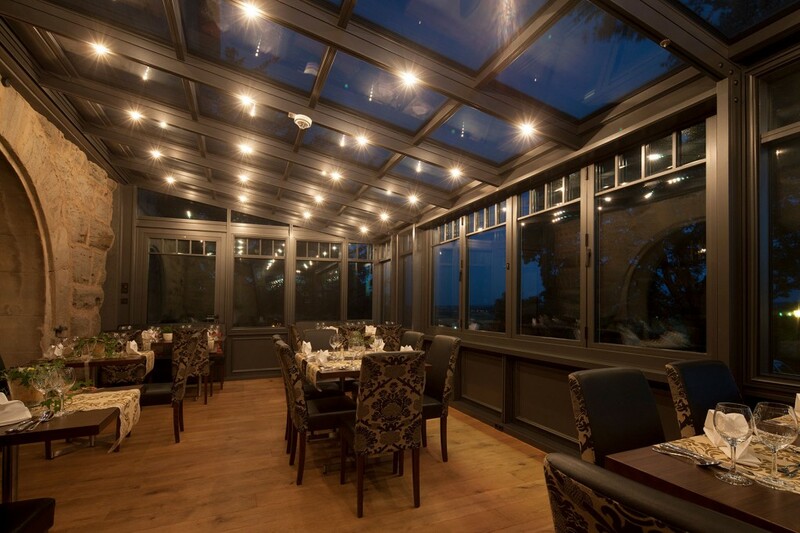 The deer are from the castle’s game reserve, thus we can guarantee the high quality of the meat. Alongside knuckle of wild boar, shoulder of venison or game offal dishes you can find popular seasonal delicacies such as salami of game, small game-salami sausages, venison pâté or venison ham. 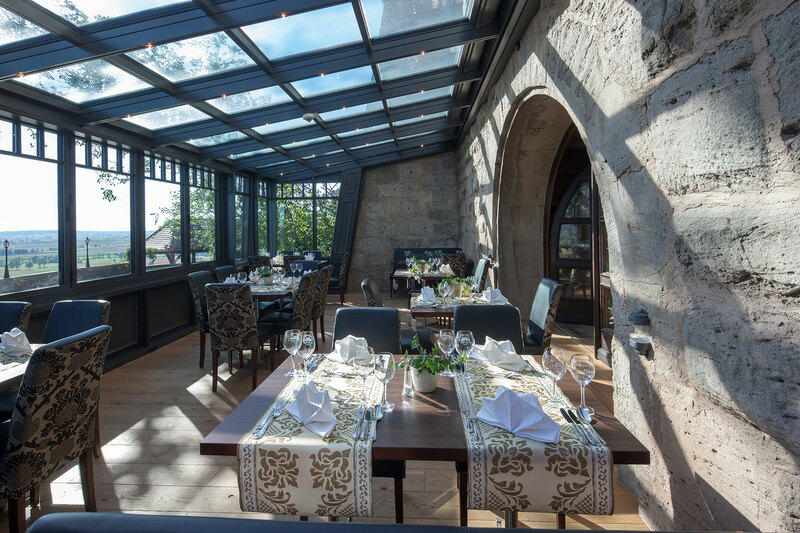 Drenched in sunshine and light – Colmberg Castle’s conservatory invites you summer and winter to sit and enjoy coffee and cake in comfortable surroundings. 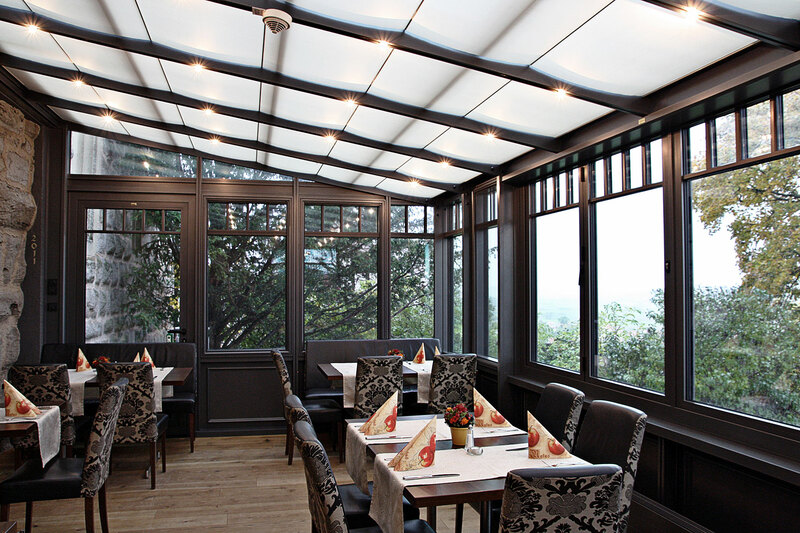 In the evening, soft overhead lighting bathes the room in warm colours – a sensual place for culinary delights. 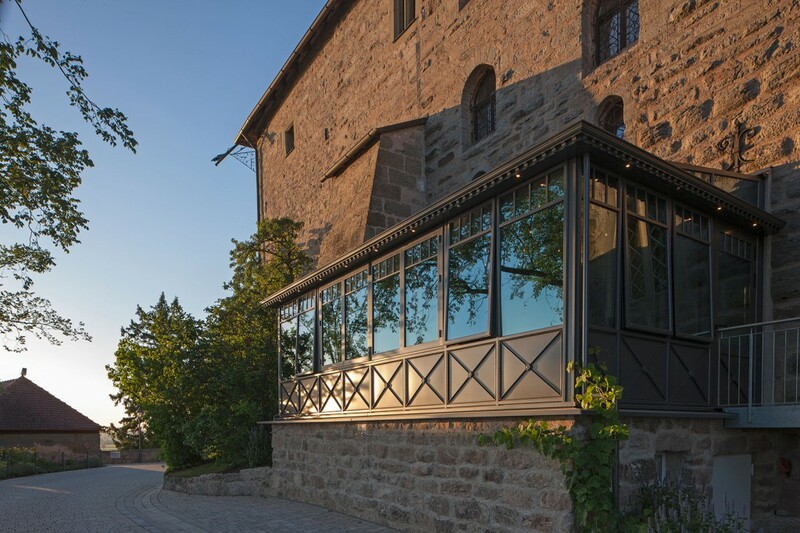 Experience the fantastic view and the elegant ambiance of Colmberg Castle’s conservatory. With only a few tables, the conservatory offers its guests a small and intimate restaurant area with a superb view across the Franconian landscape. Whether you wish to spend a relaxed afternoon with home-made coffee and cake specialties, or a special dinner for two, or with your circle of friends – enjoy the ever-changing views of nature through the seasons. 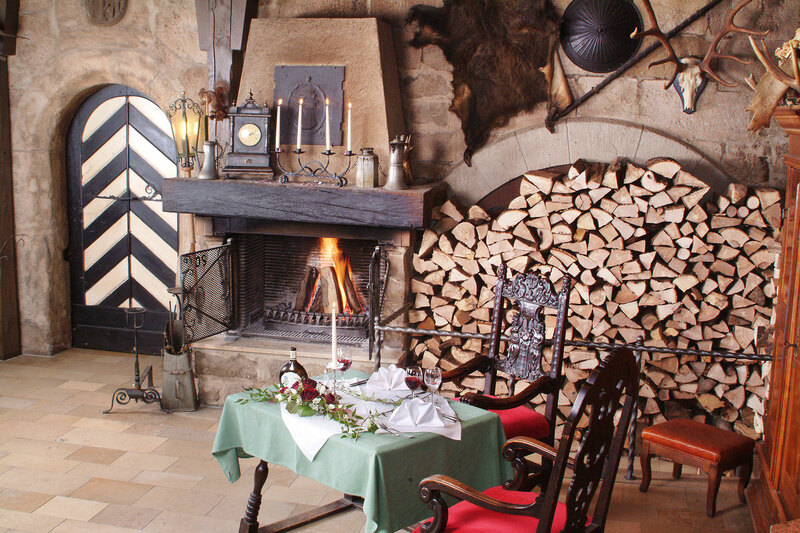 Game dishes have a special place in Colmberg Castle’s cuisine. The venison comes directly from Franconian forests. We can thus guarantee the high quality of the meat.